JNN 03 Jan 2013 Dublin : Based on birth rate and immigration alone, the population of Muslims in Ireland is expected to rise from 49,000 to 100,000 by 2020. As construction work begins on Ireland’s biggest mosque in the capital Dublin, statistics have shown that Islam will become Ireland’s second biggest religion after Catholicism by the year 2043. 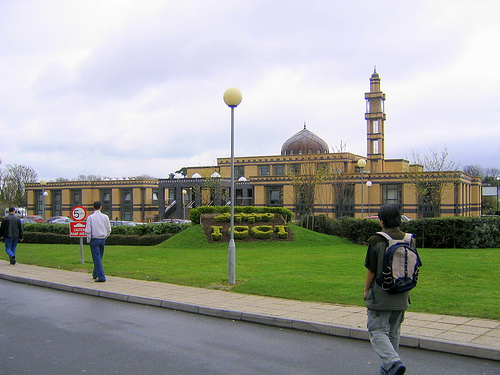 The Central Statistics Office confirmed that Islam is currently the fastest growing religion in Ireland, noting a 10-fold increase between 1991 and 2011 in which the Muslim population increased from 0.1% to 1.1% of the overall population. Not including conversions to the religion, the census claimed that just based on birth rate and immigration alone, the population of Muslims in Ireland will rise from 49,000 to 100,000 by 2020. Meanwhile, the census showed a dramatic decrease in adherents to Catholicism, down to 84% from 91% in 1991. Currently Orthodox Christianity is the second largest faith group due to immigration from former Soviet countries, but Islam is expected to surpass this. This entry was posted in Europe and tagged Central Statistics Office, fastest growing religion in Ireland, Immigration, Ireland, muslim population. Bookmark the permalink. Wonder how long we have to wait for the first bombing or beheading in defence of Islamic values…..’guess the FGM, female genital mutilation/muslimisation of a few Irish girls will come first…….The Irish will go as lambs to the slaughter…. I don’t like the possibility of Ireland becoming Islamic. High numbers of missing girls and children have been in the news in the last five years. Judging by the grooming going on in the UK via the Islamic community I see no reason why it isn’t happening in Ireland.